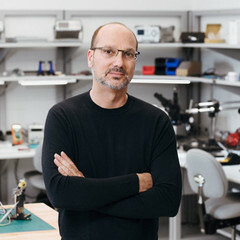 Andy Rubin, founder of Essential and creator of the Android OS, went on a leave of absence at the tail end of November over a case of perceived misconduct during his time as an executive at Google. Founder of Essential, Andy Rubin, has returned to the company after taking a short leave of absence last week. The former Google executive was reported to have taken on a short break during the last week of November, although other sources claim the break began way much earlier in the month. The reason for the absence was a reported case of an inappropriate relationship with a subordinate during his tenure as an executive at Google. Not much is actually known about the details of the relationship and Rubin has claimed that the relationship was consensual. Veracity notwithstanding, there's no doubt that a case like this so early into the company's lifespan doesn't bode well. Of course, it may just be another overblown story by the media; there was word that the founder of the Android OS did report for duty during the period of alleged absence, as the Essential headquarters share the same space as his firm, Playground Global.